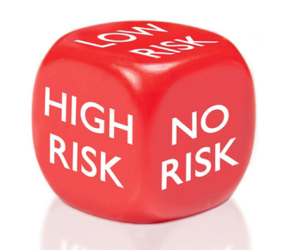 While it sounds intimidating, risk based management is simply applying common sense in a systematic way. Defining, evaluating, and managing risk is easily accomplished by using a documented approach to evaluate the risks. Which needs closer monitoring: a simple clinical trial in the United States at a reputable site previously used with much success or a complex trial in Zimbabwe at a location never utilized before? Obviously, the trial with the greater unknowns is higher risk. What this means is merely commonsense in monitoring of clinical trials based on which ones have a higher risk of problems. Another factor to consider beyond experience with a site and the complexity of the trial are the patient outcomes. Will your trial involve life and death situations? Quantifying this can be done using a matrix of categories such as geographical location of the study, Good Clinical Practice compliance (GCP), and the relationship of the sponsor with the investigator. Understanding these concepts is crucial to increase efficiency and decrease costs of clinical trials. As with any change in a regulatory environment, the industry is grappling with how to implement it. Pilot programs explore the implementation and thousands are waiting anxiously for “the answer”. The challenge is that the answer—as with everything within clinical research—is that it depends. Laurie Halloran’s presentation on this and other topics in clinical trials made them easy to grasp. She presented at the San Diego Clinical Research Network meeting last week Tuesday at the Sheppard Mullin law firm. This entry was posted in clincial trials, drug company, risk managment, San Diego Clinical Research Network and tagged risk management, San Diego Clinical Research Network, science writing on October 1, 2013 by admin.